After more than 15 years of effort and debate, condominium conversion lottery reform and bypass legislation has finally became law. Applications under the “Expedited Conversion Program” were accepted beginning July 29, 2013. The measure was originally introduced by San Francisco Supervisors Wiener and Farrell last spring, was completely rewritten by Supervisors Chiu and Yee in an attempt to placate tenants rights advocates. The Chiu/Yee version contained provisions that were opposed by the original sponsors and some real estate groups, including suspension of the existing conversion lottery for at least 10 years, and permanent disqualification of many buildings that qualify for condo conversion under existing law. Recent negotiations involving tenants rights advocates, real estate interest groups, and various Supervisors, resulted in compromises on many of the most contentious issues, and new amendments were still being introduced during the June 11 hearing when the condo law was approved by the Board. This article summarizes the major elements of the law. Learn even more about the new TIC condo conversion regulations, and find out how the new condo law will affect your building, by calling our office for a free consultation, or attending one of our free condo conversion workshops. Which buildings qualify for conversion under the new condo law? Current TIC buildings (meaning there are multiple owners who had a signed TIC Agreement in place before April 15, 2013), and some buildings in escrow to be sold as TICs as of April 15, 2013, will be permitted to convert under the new law if they satisfy owner occupancy requirements. All categories of buildings may be disqualified by prior eviction or tenant buyout history. In addition, as of July 2017, the City is not accepting ECP applications from buildings with renters because of a recently-filed lawsuit challenging the constitutionality of the lifetime lease requirement. When will the new law allow TICs to convert to condominiums? The new condo conversion system is being phased in over a period of seven years. In each of these years, a different group of qualifying buildings will be allowed to convert. After April 15, 2015: TIC buildings that satisfy owner-occupancy requirements continuously from April 15, 2009 until April 15, 2015 (past lottery participation not required), may apply for conversion beginning April 15, 2015. After April 15, 2016: TIC buildings that satisfy owner-occupancy requirements continuously from April 15, 2010 until April 15, 2016 (past lottery participation not required), may apply for conversion beginning April 15, 2016. After April 15, 2017: TIC buildings that satisfy owner-occupancy requirements continuously from April 15, 2011 until April 15, 2017 (past lottery participation not required), may apply for conversion beginning April 15, 2017. After April 15, 2018: TIC buildings that satisfy owner-occupancy requirements continuously from April 15, 2012 until April 15, 2018 (past lottery participation not required), may apply for conversion beginning April 15, 2018. After April 15, 2019: TIC buildings that satisfy owner-occupancy requirements continuously from April 15, 2013 until April 15, 2019 (past lottery participation not required), and 5-6 unit buildings with at least 50% of units in escrow for sale as TIC interests by April 15, 2013, that have at least three units continuously owner-occupied from January 24, 2014 until January 24, 2020. Buildings in this group may apply for conversion beginning April 15, 2019, and must pay their impact fee by January 24, 2020. It is not clear whether they must submit completed applications and pay the their application fees by that date. As of July 2017, the City is not accepting ECP applications from buildings with renters because of a recently-filed lawsuit challenging the constitutionality of the lifetime lease requirement. What are the owner-occupancy requirements for condo conversion under the Expedited Conversion Program? The text of the law seems to say that, for buildings applying after April 15, 2015, the identity of the owner occupying a particular unit can change over the course of the occupancy period so long as the owner claiming occupancy at the time of filing the conversion application has lived in his/her unit for at least one year. So, for example, if John Smith, who occupies Apartment 301, sells his TIC interest to Jane Doe in Year 3 and she moves in and stays there through the rest of the occupancy period, Unit 301 will satisfy the continuous owner-occupancy requirement. However, in June 2015 DPW stated in a letter that its interpretation of the law would allow such a changeover in only one instance per building. We sent a responsive letter, and filed an appeal, and DPW then allowed an application to be processed with multiple owner-occupancy changes. Please contact us for the latest information on this issue. A related issue is whether there can be a gap between when one owner-occupant moves out and his/her replacement moves in. The law allow a unit to be vacant for up to three months between owner-occupants on no more than one occasion. The one-time limit on gaps between owner-occupants will apply regardless of the outcome of the controversy about whether there can be more than one owner-occuoant changeover with no gap. How will a building’s eviction history affect its ability to convert to condominiums under the new law? No buildings will be permitted to condo-convert under the new program if any of the following were true: (i) there was a “no fault” eviction after March 31, 2013; (ii) there was a “no fault” eviction of a “protected tenant” after November 16, 2004; or (iii) there were two or more “no fault” evictions after May 1, 2005. With regard to the last situation (two or more “no fault” evictions after May 1, 2005), the no-conversion rule will not apply if all units were owner-occupied by April 4, 2006, or if the required number of units have been owner-occupied continuously for 10 years at the time of application. An eviction is “no-fault” if the grounds stated in the eviction notice was owner move in, relative to move in, unit demolition, renovation/rehabilitation, or removal from the rental market (an “Ellis Act Eviction”). There are some exceptions to these disqualification rules, and readers should contact us before concluding that a building is disqualified under these rules. How will a building’s tenant buyout history affect its ability to convert to condominiums under the new law? Under a recently enacted law, a tenant buyout can also affect a building’s eligibility for condominium conversion. A “tenant buyout” occurs when a tenant agrees to leave voluntarily in exchange for money or other consideration from a building owner. Effective March 2015, all tenant buyouts must be reported to the San Francisco Rent Board, and meet certain other requirements. Any tenant buyout that occurs after October 31, 2014 can disqualify a building from conversion, or delay conversion eligibility, under the Expedited Conversion Program. If the buyout involved an elderly (over 60) or disabled person who has resided in the building for 10 years), or if the buyout involved a or catastrophically ill person (regardless of residency duration), the building is disqualified. If the buyout involves two or more tenants, none of whom satisfy the “protected” criteria described in the preceding sentence, then the normal owner-occupancy duration requirement is extended to 10 years. The new law is not clear as to whether the 10 year occupancy requirement applies when two tenants vacate the same unit, or only when tenants vacate two different units; however, we expect the latter interpretation to apply. How much will owners need to pay to qualify for this condo lottery bypass program? Owners will pay an “impact fee” of up to $20,000 for each unit on the property (in addition to the City’s normal conversion processing and inspection fees). The impact fee will be reduced based on the number of years the applying owner(s) entered and lost the lottery (including the 2013 lottery) as follows: 20% reduction for two lottery losses; 40% reduction for three losses; 60% reduction for four losses; and 80% reduction for five or more losses. The impact fee will be reduced further if there were tenants receiving lifetime leases as described below. Buildings that participated in the 2013 lottery following seven prior lottery losses are not required to pay the additional fees described in this section. What happens if there are rental tenants in the building? As required by existing law, owners will have to offer each rental tenant the right to buy his/her unit (regardless of whether the owner wishes to sell). The owner can set the price as high as he/she wishes, and does not have to base it on the market value of the apartment. However, if the tenant decides not to buy, he/she will have a lifetime, rent-controlled lease under which he/she cannot be evicted except for non-payment of rent or other lease violations. (This means no owner move-in, relative move-in, renovation, or Ellis Act eviction of the lifetime lease tenant by the current owners or subsequent owners). Every non-purchasing tenant gets a lifetime lease, regardless of his/her age or disability status. Buildings that participated in the 2013 lottery following seven prior lottery losses are not required to offer lifetime leases as described in this section. As of July 2017, the City is not accepting ECP applications from buildings with renters because of a recently-filed lawsuit challenging the constitutionality of this lifetime lease requirement. What if there is more than one renter living in an apartment? Does each tenant or roommate get a lifetime lease? The new condo conversion law does not contain details on how the lifetime lease requirement will apply in the situation where there are multiple tenants or roommates living in a unit, and the courts will ultimately have to resolve the issue. The most likely interpretation is that a lifetime lease must be offered to all the people living in the unit on the date of conversion application except for those that would not be entitled to eviction control protections under the rent control law. More specifically, the excluded group would consist of occupants who moved in after the tenancy began who received a timely notice from the owner that they could be evicted after the last of the original tenants vacated. The group of tenants entitled to lifetime tenancy would all be named collectively as the tenant on one single lifetime lease. The lifetime lease that must be given under the new condo conversion law continues until the death of the tenant (or, in some cases, until the death of a member of the tenant’s household), or until the tenant provides notice to the owner of the tenant’s intention to terminate the lease. The condo conversion law does not state that the lifetime tenant must continue to reside in the unit, or that his/her moving out can be treated as the end of the tenancy. This probably means that the life tenant could keep the unit as, for example, a secondary residence, even if he/she lived elsewhere. Moreover, the new law does not contain details on the ability of a lifetime lease tenant to assign or sublease his/her apartment, and the courts will ultimately have to resolve the issue. The most likely interpretation is that the assignment/subletting restrictions in a particular tenant’s lifetime lease will be the same as those that apply to his/her existing tenancy. For example, if the tenant’s existing tenancy is subject to a legally enforceable absolute ban on assignment/subletting, that ban can also be placed in his/her lifetime lease. Note, however, that, under the SF Rent Board Regulations, such bans are only enforceable if they meet certain very specific requirements, and even then do not apply when an original tenant is replacing a departing co-occupant with a new occupant. This may mean that, regardless of what the lease states, lifetime lease tenants can assign/sublease so long as at least one of the tenants named on the lifetime lease continues to reside in the unit. To make matters still worse, it has been very difficult for owners to successfully evict occupants based on the fact that the last “original tenant” has vacated, because the tenant often claims that he/she is still living in the unit or is just away temporarily. Owners should expect this problem to continue, or even worsen, in the context of a lifetime lease tenant who is living elsewhere while still claiming to occupy the owner’s condominium. Will condominium conversion of qualifying buildings be guaranteed under the new lottery bypass program? The Department of Public Works (the “DPW”) to post the address of each applicant building on its website. Any interested party (neighbor, current or former tenant, political activist, etc.) may challenge the conversion for any reason, in which case DPW may hold a public hearing to consider disallowing the conversion. There are no limitations on DPW’s discretion to disallow a conversion, even for a building that completely satisfies all of the requirements. Will the new law affect two-unit owner-occupied buildings that bypass the conversion lottery under current law? The new law will have no effect on the existing rule allowing two-unit buildings to convert when both units have been occupied by separate owners for at least one year, and these buildings will not pay any of the fees imposed by the new law. h2>How will the new law affect the existing condominium conversion lottery system? The condominium conversion lottery will be suspended for 10-12 years. The exact length of the suspension will depend on how many buildings convert under the bypass system and how many new units are constructed with the money generated through bypass fees. When the lottery returns, it will no longer be possible for properties with more than four residential units to convert to condominiums, except for certain 5-6 unit that were prevented from using the Expedited Conversion Program due to eviction/tenant buyout history. The owner-occupancy requirements for entering the condo lottery will also increase: three-unit buildings will need at least two owner-occupied units, and four-unit buildings will need at least three owner-occupied units. Even one “no-fault” eviction will prevent a building from entering the lottery for at least seven years. Can a qualifying owner-occupant move out or sell without disqualifying the building for conversion under the new TIC/condo law? The required number of units must be owner-occupied on the date the conversion application is submitted. However, as noted above, a qualifying owner-occupant may move out or sell before application submittal so long as (i) a replacement owner-occupant moves into the same apartment, and (ii) the replacement has been living in the apartment for at least one year as of the application date. The law is silent on the question of whether the owner-occupants present on the application date can vacate or sell between application submittal and tentative approval, and the most conservative approach would be to wait; however, it is extremely likely that a move-out would not impact conversion, and reasonably likely that a sale would not impact conversion. What if someone files a lawsuit challenging the condominium conversion law? How does the “poison pill” provision of the new conversion law work? The ECP law states that if someone files litigation challenging only the lifetime lease provisions, the City will continue to accept and process conversion applications from buildings that have no tenant-occupied units, but stop accepting and processing applications from buildings that have rental units, (except that buildings that have received tentative approval will be allowed to complete conversion). Such a lawsuit was filed in Federal court in late-June 2017. As a result, the City is not accepting ECP applications from buildings with renters. If someone files a lawsuit challenging only the lottery suspension part of the new condo conversion program, the City will stop accepting applications for all conversions under the new law, including applications from fully owner-occupied buildings. The City will continue to process previously-received applications for 180 days. At that point, conversions that have received tentative approval will be allowed to complete conversion, and those that have not will be frozen. If both the lifetime lease and the lottery suspension parts of the new program are challenged (either by a single lawsuit or because there a several lawsuits which, taken together, challenge both of these parts of the law), the City will stop accepting and processing applications for all conversions under the new law, except that buildings that have received tentative approval will be allowed to complete conversion. No lawsuit challenging the expedited conversion program will affect conversions of fully owner-occupied two-unit buildings, and the City will continue to accept and process applications for these duplexes. Owners whose condo conversion application is suspended due to a legal challenge may obtain a partial refund of condo conversion application fees paid to the San Francisco Department of Public Works. DPW will refund the entirety of these fees less the amount it spent on time and materials reviewing the application. It is difficult to know, based on this wording, how much of the fees will be withheld in practice. The fact that a fee refund is obtained will not prevent the building from reapplying for conversion if the new condo law is upheld and reinstated. Note, however, that owners whose applications are frozen may not be able to recover other expenses incurred in the course of preparing and submitting conversion applications, such as building inspection fees, building repair costs, and land surveying fees. Given the potential impact of the poison pill provision of the new condo conversion law, should qualifying buildings apply as soon as possible? One the one hand, owners that apply early may get through the process before a lawsuit is filed. On the other hand, these owners risk losing a significant sum if a lawsuit freezes their conversion applications. Each owner must make his/her own decision about whether the potential benefits of early application outweigh the risks. If I want to apply for conversion as soon as possible, how should I proceed? Owners wishing to apply for condominium conversion immediately should first confirm that they qualify and are willing to offer lifetime leases to all rental tenants. We are happy to offer free consultation to help determine whether you qualify for immediate application. If you do qualify, the next step would be to contact us so that we can begin preparing you application immediately. (Read The full final version of the condominium conversion lottery reform and bypass legislation). SirkinLaw APC has been guiding clients through San Francisco condominium conversions and subdivisions for almost 20 years, and have completed more SF conversions than any other firm. 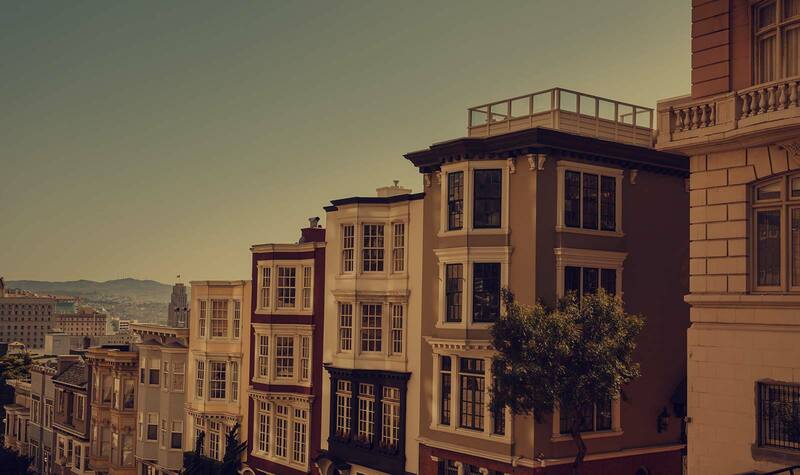 Over the years, we have been involved in drafting many of the laws that govern SF condominium conversions, and have helped develop many of the procedures used by the San Francisco Department of Public Works (“DPW”) Bureau of Street Use and Mapping (“BSM”). Our breadth of experience makes it likely that if a glitch appears in the condominium conversion process, we will have seen something similar before and know exactly what to do. And for those rare occasions when a completely new issue arises, we are the recognized masters at developing creative solutions that save our clients time and money. Experience has taught us that the most important things to our clients are the immediate availability of staff to answer client questions and diligence in following the process of governmental approval. To ensure we achieve these goals, we have a full-time attorney, Rosemarie MacGuiness, devoted to client contact, preparation of subdivision applications, and monitoring subdivision approvals. Rosemarie maintains a direct-access telephone line and can be reached easily any weekday to discuss the status of a conversion or subdivision process. Andy Sirkin is also committed to being available to you when you call or within the next 24 hours. Andy is known for his diligence in calling clients back quickly, and is more committed than ever to being easily reached. But while processing the condominium conversion or subdivision quickly and efficiently may be our client’s most immediate priority, the governing documents (the Declaration of Covenants, Conditions and Restrictions, or “CC&Rs” supplemented in some cases by Bylaws and/or Articles) will have much greater long-term impact. The quality of the governing documents will directly affect the quality of life of the owners, as well as their ability to refinance and sell. Andy Sirkin has been co-author of the past 10 editions of The Condominium Bluebook, and his expertise in preparing condominium governing documents is recognized throughout California. Sirkin & Associates governing documents continue to be the ones other firms emulate, and Realtors, lenders and buyers strongly prefer. This leadership results from constant improvement and innovation that makes our documents easier to read and understand, as well as more efficient and less expensive to enforce. Before you choose a lawyer to handle you condo conversion or new construction subdivision, take a moment to speak with Andy or Rosemarie at SirkinLaw APC. Our practice includes all required City and State applications and filings, as well as preparation of any governing documents you may need. We offer these services on a flat-fee basis, and our rates are generally lower than those of other firms. Contact us via our contact form.